Now that Spring has arrived we are all avidly looking to clean and organize our lives in some fashion. Over the next 30 days I'm going to offer suggestions for things to get us all motivated each morning with just one task to accomplish for that day. Some of these ideas may not apply to you so feel free to come up with your own daily goal as needed. 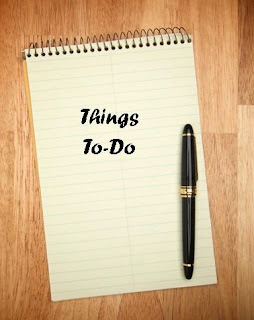 I'm going to try to accomplish each of the goals I post daily here on the blog. One a day can't be that hard, right?! So let's get started with this 30 day Spring Cleaning challenge! Clean out your freezer and make an inventory of what you have, when it expires, etc. This will help you to know exactly what you have on hand at the moment. 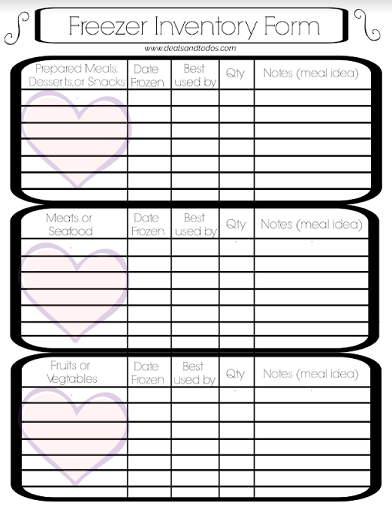 Use this printable Freezer Inventory Form to help you keep track of what you have.